Happy Easter! 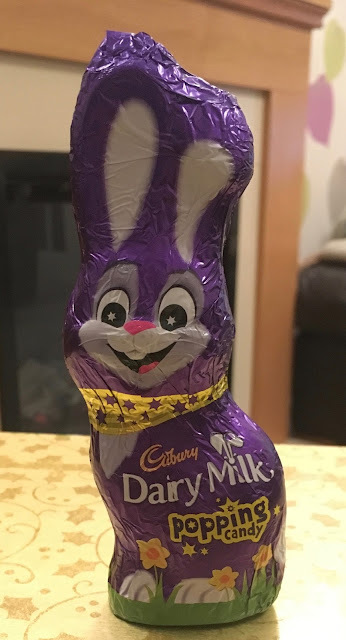 Okay, so I'm a little early by a month, but Cinabar picked up these bunny shaped Cadbury Dairy Milk Popping Candy chocolates the other day and asked me to write a blog about them. This could be because it's Cinabar's favourite time of every year when her brother pulls out the old bunny costume photo when Cinabar was a child and wore a bunny costume for a school play. It certainly does raise a few titters and never gets old! It's because of this that she has a bit of an aversion to bunny shaped chocolate (true fact), and that's why I was asked to write about this product. 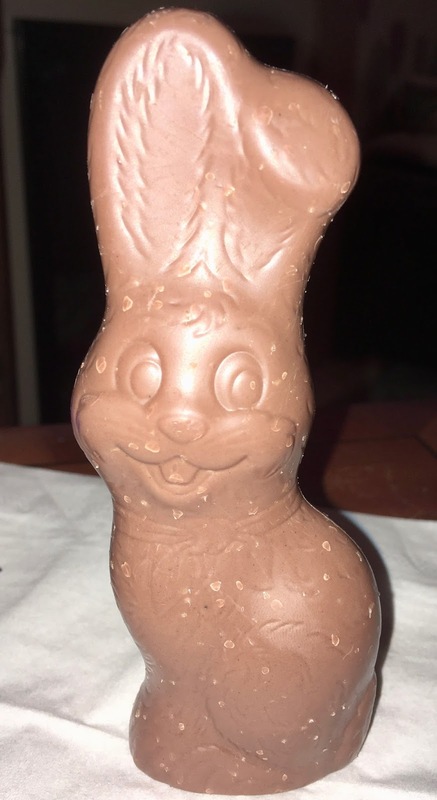 The 50g chocolate bunny has 528 calories per 100g, with 29g of fat, 56g of sugar, and 0.23g of salt. Ingredients included; milk, sugar, cocoa butter, cocoa mass, vegetable fats; palm and shea, glucose syrup, emulsifiers E442 and E476, lactose from milk, and flavourings.